The sports event industry continues to boom in the Raleigh area. It&apos;s been six months since we took a look at 2014 in photos, and the first half of 2015 has been another big success. The Greater Raleigh Sports Alliance has already assisted in hosting more than 35 sporting events during the calendar year, including major events such as MAPL Volleyball, Rock &apos;n&apos; Roll Raleigh Marathon & ½ Marathon presented by WRAL benefiting The V Foundation, IRONMAN 70.3 Raleigh, NCAA Division II Baseball Championships, AAU Karate National Championships and many more. Below are some of our best Instagrams from the first half of the year. For more, follow @raleighncsports to keep up with the sports event industry in the Raleigh area and keep an eye on our calendar of events to find out what&apos;s ahead. A great day of baseball in Cary at #NHSI15, where the nation&apos;s top high school baseball programs have gathered this week. Day passes are $10 & parking is free out at USA Baseball NTC. Follow @usabaseball on IG and Twitter for more | #baseball #NHSI ?? You! 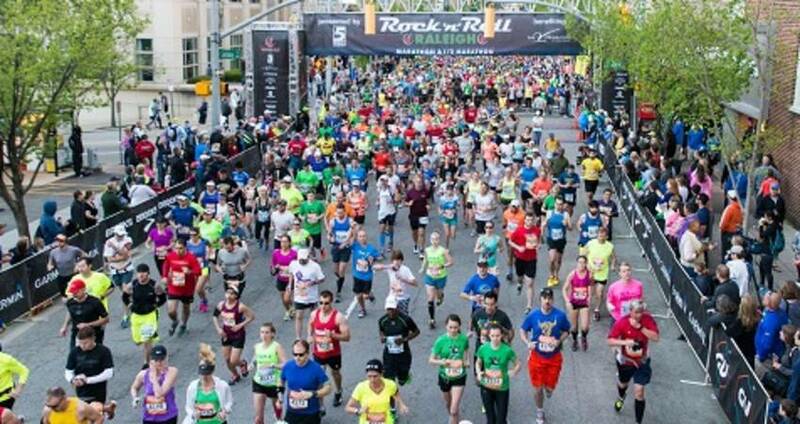 Go register for next April&apos;s #RnRRAL right now for just $50! Good until midnight tonight - won&apos;t get any better than that. Race date is Sunday, April 10, 2016. What a day! Who rocked #RnRRAL? Thanks to @runrocknroll for another terrific event this year. Registration for 2016 is already open and just $50 for the #marathon or #halfmarathon if you register by Sunday, April 19. Underway at the #DeepSouthClassic in #Raleigh. 400 girls basketball teams are playing on 20 courts this morning through Sunday evening at the Raleigh Convention Center in #downtownraleigh. The NCAA Women&apos;s Golf Regional, hosted by @packathletics, is underway. Eighteen teams are competing for a chance to move on to the national championship. Free admission at Lonnie Poole Golf Course through Saturday. ?? First game of the #NCAAD2 National Finals about to get underway in Cary. Fireworks after game 2 today ? ?